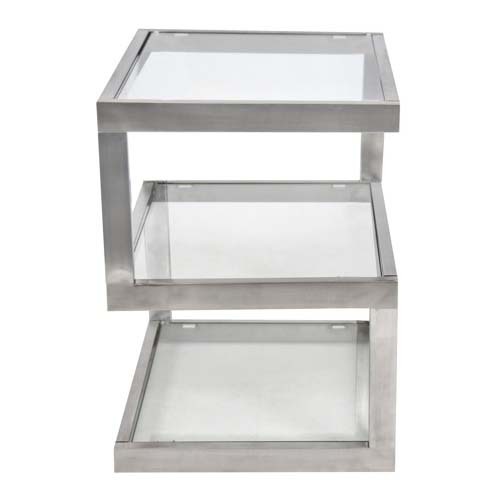 More on the LumiSource 5S Clear Glass Side Table TB-5S SS below. 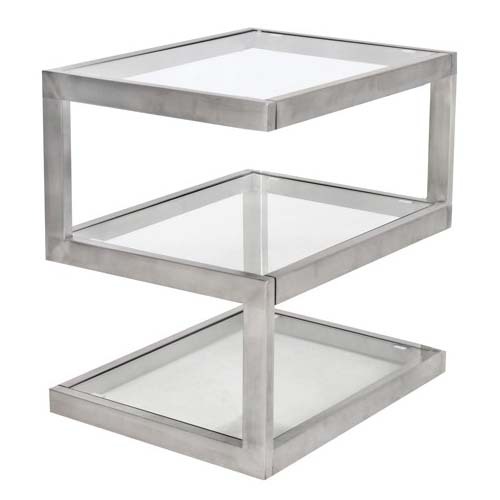 Three tiers of clear glass shelves are framed by an artful stainless steel structure in this smart and sophisticated side table. With ample surfaces allowing abundant storage and an angular shape creating a modern appeal, this contemporary piece is the perfect addition to any space.